PRO’s Dave Gantar is preparing to head out to India to officiate in the Hero Indian Super League for the second successive year. 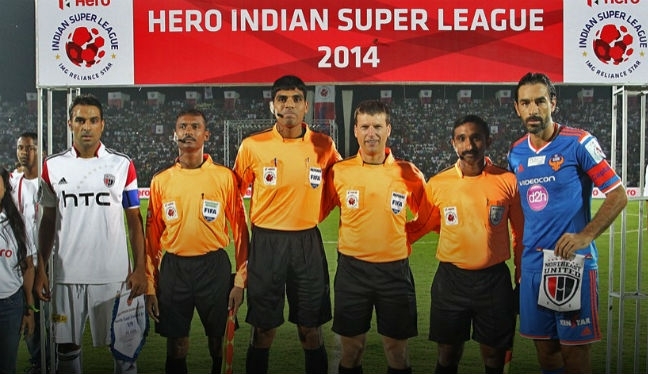 The Canadian referee took charge of four games in the inaugural ISL campaign as one of a number of PRO officials to travel to India, and he has been invited back to participate in the 2015 season. This year’s ISL started on October 3 and Gantar, who has had a busy year including the CONCACAF U-20 Qualifying, the CONCACAF Gold Cup as well as a number of MLS assignments, leaves for India on October 21. He told proreferees.com: “I have a combination of excitement – I get to see the people I met last year and be involved in some good games – and tentativeness, as no one else from PRO will be there with me this time. Atletico de Kolkata, captained by marquee player Luis Garcia, were the first winners of the ISL last year after beating David James’ Kerala Blasters in the final in front of 36,484 fans. This time around, overseas players include Canada’s Iain Hume (Atletico de Kolkata), former English Premier League defender John Arne Riise and ex-France international Florent Malouda (both Delhi Dynamos). “The group of us that went last year have had opportunities to share our experiences throughout this MLS season,” Gantar added.